Bob Davies is known as The Performance Coach. 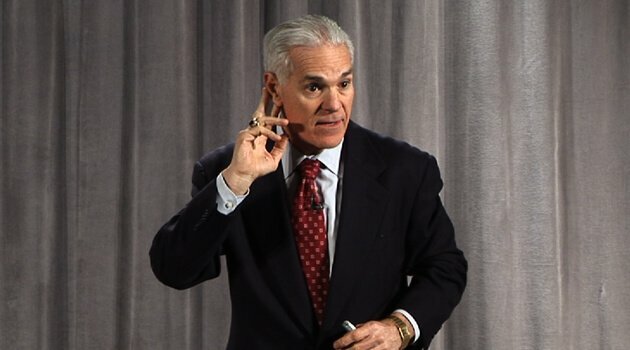 His education, professional designations, and personal life experiences qualify him as a definitive expert in the field of maximizing human potential. As a college football coach, Bob Davies helped the athletes at Cal State Fullerton tap more of their potential and win two conference championships. He also coached Jeff Blatnick, Olympic gold medal winning wrestler. In addition to being a world-class coach, Bob Davies is an international best-selling author and highly sought-after transformational speaker. But it wasn’t always easy for Bob. He came from a background of poverty and negative influences. In rising above his own challenges, he learned the key skills and critical life lessons that take people from good to great!